If you have any further questions, please don’t hesitate to contact us! I like your sailing yacht, but I’m actually looking for a different boat. Can you help me? Do I need sailing experience to sail with you? What happens when there is bad weather on the day of our boat trip? Sailing with children, what do I have to bear in mind? I don’t want to go to Formentera, can we sail a different route? I will be staying in Formentera. Can the boat trip be started here? Do we have music on the boat? My mobility is reduced, can I sail with you? We are just the two of us on holiday, what can we do? Is your boat authorized to sail commercially? Do you anchor in the posidonia? Yes, sure! Over the past years we got to know many other boats on the island. From authentic fisher boats to motor yachts, we have built up a large database with all different kinds of boats. Let us know what you are looking for and we will do our best to help you. We will only link you to colleagues of whom we are convinced that they deliver a good and reliable product. No, that’s not necessary. Of course you are welcome to lend a hand and take over the helm, but you can also easily pick a nice spot to relax and let the crew do what they are good at. In case the weather does not turn out well on the day of your reservation (i.e. strong winds and/or rain), first we will try to find an alternative date for the tour. If this is not possible, the reservation will be cancelled and no costs will be charged (any deposit will be fully returned). The skipper will have the last word about whether or not to proceed with the boat trip. In low season (May, September and October), the chance of bad weather is slightly higher. Around this time we’d recommend to book an early day in your holiday, so there will be some room to change the day, if necessary. Sailing in Ibiza and Formentera is a great experience for the entire family! Over the past years, we have welcomed all ages on board. Sailing on a true pirate ship sparks the imagination of many kids and is a lot of fun, also for us! – When there are (small) children joining us on board, we set the rule that they sit in the same place during navigation, because of safety reasons. We expect the parents/guardians to take this rule seriously and make sure that the kids do not walk unnecessarily back and forth across the boat. If they want to take a look at the front deck, this can be done under supervision. – The trip to Formentera takes about one and a half hours, hereafter we will anchor and the kids can walk freely, swim and jump off the boat. From experience, we know that it’s always nice to go to the beach with them for a little while, we can take you here with the tender. – We have life jackets in different children’s sizes on board. – When sailing, we always take the presence of kids on board into account. This means that we won’t let the boat heel over too much. Also, the plan for the day can be adjusted, we are happy to discuss this with you. – Sailing with babies is possible, provided that the weather conditions are good. Our youngest visitor on board counted just three months! There are plenty of mattresses where the baby can lie down and we can provide shade if necessary. Also, in the cabin you can find sofas that work great for a little nap. – Bringing some toys can be nice. Keep in mind that things with a lot of small and/or loose pieces is not very handy on the boat. Books, pencils and dolls are fine for example. Having said this, it’s a great adventure to go sailing with the little ones. Our sailing boat is comfortable and has spacious lounge facilities. Of course, the kids are welcome to take over the helm for a moment so they really feel like a pirate for one day! Giving a single answer to this question is hard as this depends a lot of the individual. Being on a boat there will always be movements. A big advantage of the area where we sail is that the islands do provide shelter. We will always sail on the calm side of Formentera, where the waves will be limited. Also, the weather conditions in summer are normally good. Knowing yourself, you can probably foresee if you are sensitive to seasickness. For example, if you are likely to get sick in cars, the chance of getting nausea on board is higher. You can read further below about how to prevent seasickness. Although the majority of our guests pass the day at sea without any problems, getting nausea on board can be annoying. Luckily, the chances of seasickness can be significantly reduced with the right preparations. If you think you are sensitive to seasickness, we’d recommend to take some anti-nausea medicine, such as Biodramina (available at every pharmacy on the island). Note that the pill should be taken half an hour before getting on board. If you have any concern, please seek advice of a doctor or pharmacist. Also, do not arrive to the boat with an empty stomach and make sure you have breakfast. Drink plenty, but preferably not too much coffee. It is best to limit the use of alcohol the day before the boat trip and to have a good sleep so you’ll be as fresh as possible. On board, we can tell you the best place to sit in order to avoid feeling ill. Furthermore, it is always possible to go ashore for a moment when in Formentera. Yes, that’s possible! Although we usually sail to Formentera in high season, the possibility exists to explore the south coast of Ibiza. Think of Es Codolar, Sa Caleta and Cala Jondal from the waterside. 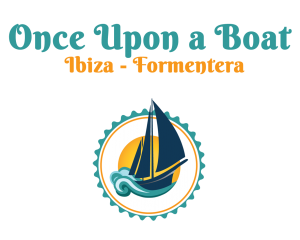 This alternative route is a nice option, especially for people who have already sailed to Formentera (with or without us) and want something different for a change. In the low season (from late September and early May) we cannot always sail to Formentera. The alternative is a trip along the west coast of the island, with San Antonio as the starting point. The areas in which we will sail are; Cala Bassa, Cala Comte, Isla Conejera, Cala Salada and Punta Galera. Please note that the exact sailing route is always determined on the day itself. We will take your wishes for the day, but also the weather conditions into account. Yes. It’s possible to start our boat trip in Formentera. In this case, the boat trip will last 7 hours, also in high season (instead of 8 hours). There is a portable speaker on the boat. If you bring a phone or Ipod you can listen to your own music. Make sure you have your music ‘offline’, since the mobile network at sea can be wonky. The sailing itself is no problem for people with reduced mobility, our boat is spacious and is provided with comfortable seating. But the boarding could be problematic. To come aboard the boat, you will be picked up by the tender. From the tender, some little stairs needs to be climbed to get on board. We’ve seen people doing the job pretty well, together with some strength in the arms and a helping hand from our side. However, we always like to discuss the possibilities with you in advance. Normally we rent our boat exclusively to a group up to 11 people. Sometimes we manage to join different, smaller groups so the boat (and costs) can be shared. We cannot guarantee this though. However, we can make a note and let it know if there are more people interested in a boat sharing around the days that you are available. In Spain you can register your boat either as a private or a commercial vessel. This can be seen on the license plate; a license plate with the initial number 6 is a commercial boat and a number plate starting with a 7 is a private boat and therefore not authorized to sail commercially. We sail under the Spanish flag and are registered as a commercial yacht. This means that the boat has all the safety equipment on board and is fully insured. In recent years, reports have appeared in the media about the decrease of the posidonia in Ibiza and Formentera. The damaged is likely to be caused by human factors like coastal development, warming waters, overloaded sewage systems, but also by the presence of ferry’s and recreation yachts with high emissions of fuel. Yachts can also cause damage if they drop anchor in the posidonia seagrass, this is forbidden by law. Being extremely fond of the beautiful waters in Ibiza and Formentera, we are very aware of the value of the posidonia. Therefore, we prevent anchoring in the posidonia at all times. An interesting read about this topic is this article (in Spanish) about how the ecological argument in Ibiza and Formentera is abused in order to do business³.